Super friendly staff and quick customer service! The team was polite, fast and efficient. They executed my house clearance with ease, and I had a lot to throw away. I do that once every year, next time it is you guys again! Just got my rubbish clearance in the garage. Me and the guys sorted the things in there quickly and they took away everything that I want need. It is great, I finally have a place to work with. I wanted to do that a long time ago, but the thought of lifting those chunks of metal set me off. Thanks! I am so happy, I have some space in the closet for some new clothes! The guys were awesome, I just pointed the boxes and they disappeared! The booking was super easy, the girls contacted me, maybe 5 mins after I filled the form on the website. 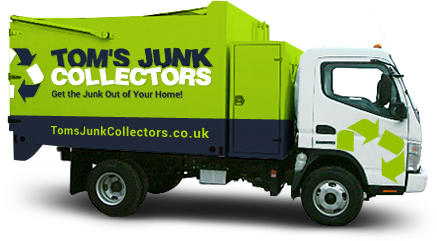 Would recommend Tom's Junk Collectors!